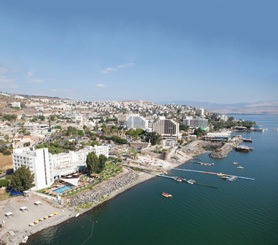 From the very North to the most southern point of Israel, visitors have a wide selection of accommodation options, some of which hold particular uniqueness to the country: hotels, boutique hotels, B&Bs, hostels, apartment rentals, camping grounds, cabins, kibbutzim (village settlements) and more. group in so many ways. However, despite an increased demand for alternative accommodations, hotel occupancy in Israel has maintained a steady market position, having peaked at around 70 percent in occupancy rates across the country during the last four years. Furthermore, over 1.8 million overnight stays, for both tourists and Israelis, were recorded this March, reflecting an 11% increase on March 2016 and 19% from March 2015. On a regional basis within Israel, recordings of tourist bed nights have also increased over the past year, with a 44% rise in Jerusalem, a 68% rise in Haifa and 38% increase in the Dead Sea, to highlight a few. urther 30 or more in various stages of development for operation in 2017 and 2018, reflecting over 8,000 new rooms and adding to the country’s current total of approximately 370 hotels. As a result of the broadening spectrum across hotels, Israeli accommodations continue to diversify in correlation to the demand for property types, including budget, boutique and luxury categories. As reported last year in Israel Travel News, the “Hotels Law” has set forth a plan to simplify the hotel building process, in a bid to introduce 15,000 new rooms within the next five years and a total of 27,000 within the next decade, further transforming the hotel industry from its current position. Factors attributing to a demand for additional supply include increased city break vacations; flexible working patterns; availability of budget flights and packages; a growing trend of experiential travel; and developments in technology making local and international travel more accessible than ever before.